My focus is more on the processes of making the car run well, not making it look good. This car is based on the online college lecture. Tons of data on why its one of the best designs. It is our favorite. 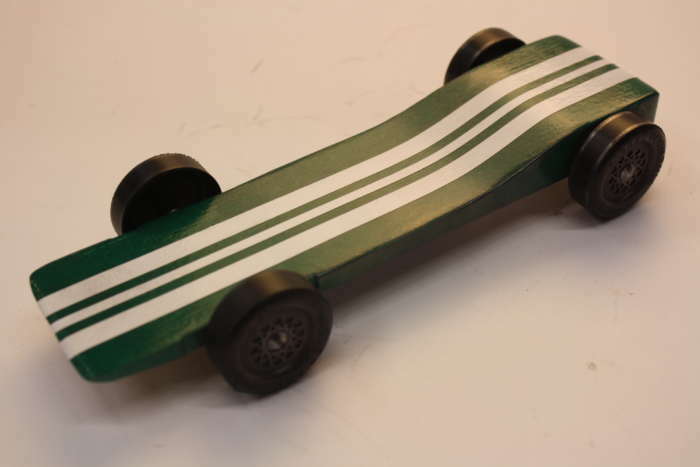 The outcome at the finish line is based on amount of time tuning the car. A more expensive car has more time involved in making it faster. There is at least 3-4 hours in each car. You can see each process on my YouTube video’s. You can see how much time is involved. Please understand that concept. 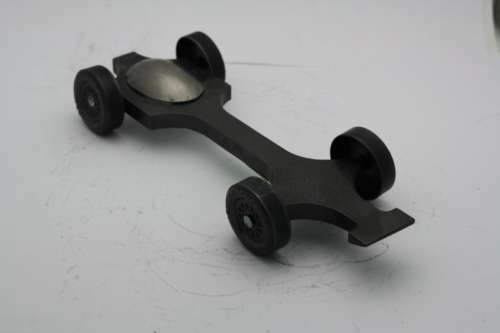 Type of Wheel Base? CHECK YOUR RULES! Times will be 2.489 or faster*. 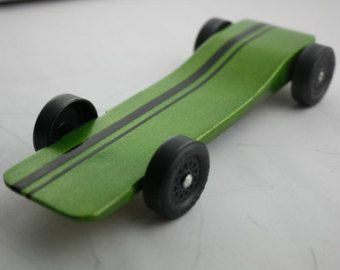 This was my top level speed cars for the longest time for these type of wheels. Many, many happy customers. I have decided from here on out, this will be the only speed that I will offer. Just want you to get the best chance you can. Cars are made with 1.180″ outer diamter factory wheels. So this is 100% legal for all races. No grey areas here. Read my Feedback! I am not new to the derby industry. 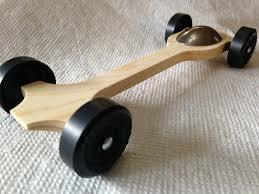 I have been able to fine tune my production of derby cars to make them blazing fast. However it is still plain and simple. Not perfect. Blemishes in the wood finish. 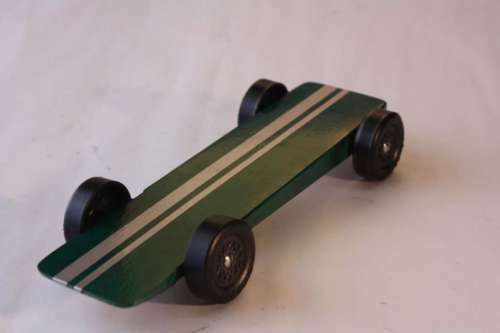 Sanded wheels, etc. No fancy flames, just a simple metallic color. You put the finishing touches on it if desired. My focus is more on the processes of making the car run well, not making it look good. This car is a universal design. The outcome at the finish line is based on amount of time tuning the car. A more expensive car has more time involved in making it faster. There is at least 3-4 hours in each car. You can see each process on my YouTube video’s. You can see how much time is involved. Please understand that concept. Will come completely TURN KEY, Ready to go out of the box. No work necessary to race. Weight= Approx 4.993-4.997 oz. Final weight is attained using tunsgten putty which can be removed on fly if needed. 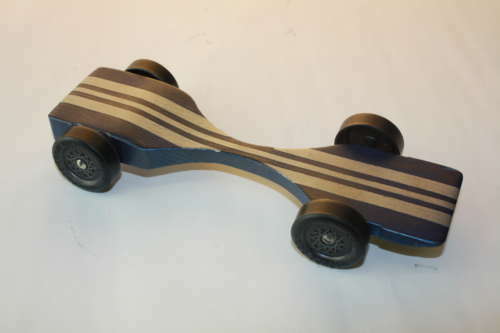 3 Wheel rider – No I can not make these 4 wheel riding cars. Fast Start front end so that your car starts before most others! Wood removed at friction points to increase speed! DRY LUBED Prepped I no longer make oil cars. There are other builders better at that than me. Weighted with LEAD. ALL Lead is covered. COG 1/2-3/4″ in front of rear axle. All cars are STILL blazing fast at the finsih line! How do we know? Because we have a custom made prototype timer that allows us to get exact speeds at certain parts of our track. I do not know who else does this and DOCUMENTS it for you to see. Watch the video! 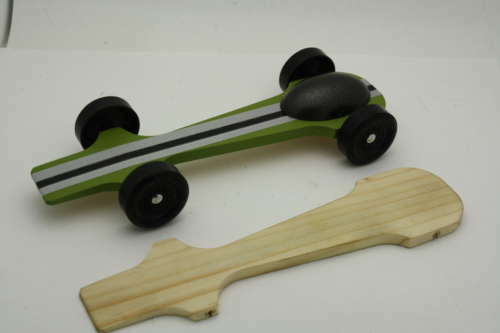 These cars have been tuned to race down a track with center guide. They are tuned so they don’t fishtail to reduce speed. Each car has simulated at least 300 races at the car’s top speed. AND our cars are timed to meet our minimum standards that are usually faster than competitions. IF YOU HAVE DONE YOUR HOMEWORK, you will see that these are incredible speeds! Especially for the price range. And you will see it is faster than most other sellers! And the majority of the sellers are using krytox oil to get fast times! CHEATING! 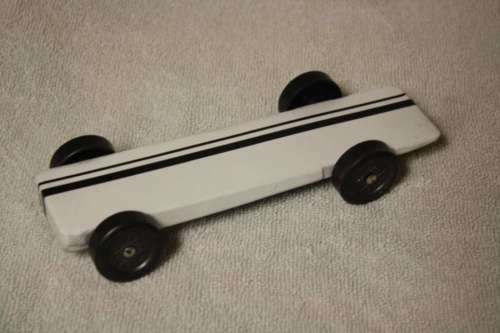 One big seller on eBay does not even sand his axle on the high wheel. I JUST DON’T SAY MY CARS ARE FAST. I GIVE YOU VIDEO EVIDENCE! Each car sold will have a unique serial number with YouTube video of proof that it met our promised standards. Link will be provided upon delivery. If you require times prior to purchasing, please review our Timed Trail Car’s for that specific type of data.